Ahead of me was a castle that needed capturing. A few battalions of my army's soldiers were already trying to clamber up the walls using ladders, while leaders barked out orders and a battering ram made its way slowly to the castle gate. Rather than participate in this chaos, I decided to do something different. I worked my way around to the back of the castle, where there weren’t soldiers manning the walls. 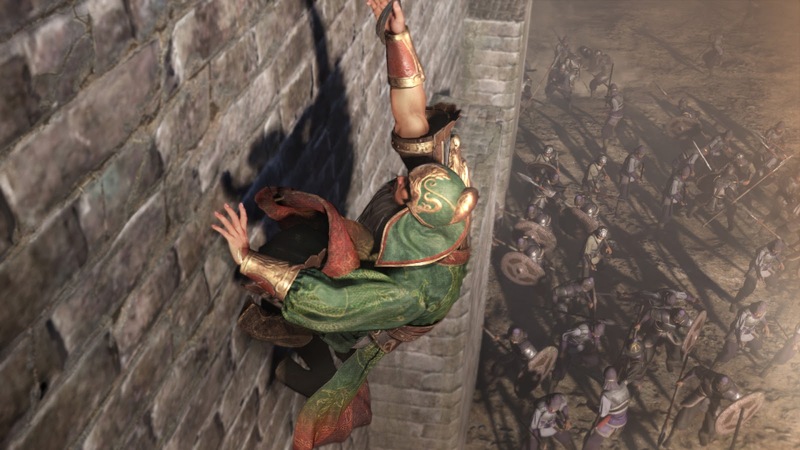 Related reading: Matt's review of the last Dynasty Warriors game, Dynasty Warriors 8: Empires. I used my grappling hook to scale the wall, dropping inside in the middle of an enemy battalion. Quickly dispatching the leader to negate the threat of the soldiers surrounding me, I quickly ran past another couple of battalions to the entrance of the castle. There I removed the beam keeping the gates shut, and allowed a flood of my own soldiers to enter the fray. Soon after, that castle was mine. The upcoming Dynasty Warriors 9 is a radical departure to the structures that have largely held the series together in previous itirations. 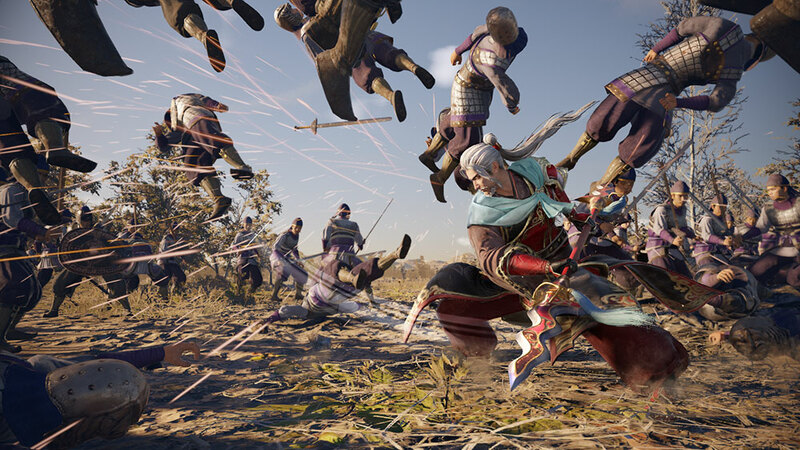 Cinematic and breathtaking in scope, Dynasty Warriors 9 offers a massive open world, with plenty of freedom in terms of how you go about achieving objectives and completing missions for whatever warlord you’ve selected as your favourite. In fact, the game’s core inspiration has more to do with another (deeply underappreciated) Koei franchise than the Warriors series itself, Dynasty Warriors 9 producer, Suzuki Akihiro, told me. For those who haven’t played Bladestorm – it was closer to a wargame, in that you would play as the commander of various units on the battlefield, but the battlefield was so vast (the entirety of northern France and south England) that it was impossible to be everywhere. Even so, the other units in your armies would attack critical locations, defensive lines would be pushed back, and if you stood still, the battle would still flow around you. There was a majesty to the sheer sense of scale that made Bladestorm a really intriguing game, even if the critical and commercial reception was never quite what it deserved to be. Dynasty Warriors 9 takes that same epic scale, but gives you the fluid action and control over a single character as with the previous Warriors games. It’s an appealing mix, and from my limited time with the game at Tokyo Game Show this year, I was won over by it completely; there really is the sense that you can do anything you like, even as all hell breaks out around you. Indeed, if you were to have your character jump on a horse and travel across the entire map without stopping, you’d be riding for over three hours, and the open world engine would handle that, Suzuki said. That’s the kind of epic scale that we’re talking about here. Giving players freedom means that it’s not just about combat, Suzuki added. 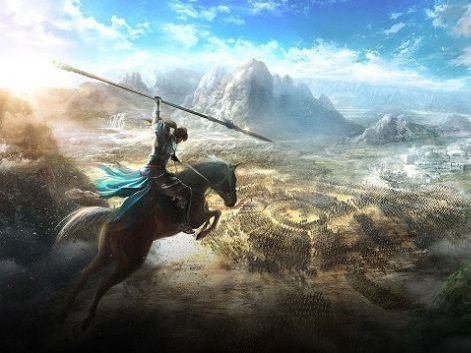 Much like Samurai Warriors: Spirit of Sanada, in Dynasty Warriors 9, players who are interested in the history and characters of the era will be able to indulge in that side of things to a far greater degree than they had previously, by taking some time away from the battle zones to interact with characters in a peace-time setting. I’ve written about it extensively in the past, but Koei Tecmo’s Warriors games never get the respect they deserve as works of historical fiction themselves. Of course they’re not realistic depictions of the history of the time, but as abstractions, they’re remarkably authentic, and this is a big part of what I love about them. So I was interested to see how the shift to the open world would affect the storytelling. Specifically, whether this additional freedom being provided to players would allow players to effectively change history and enter “what if” scenarios, where battles that were lost were won, and characters that had historically survived instead died. According to Suzuki, the storytelling itself is one area where players won’t be free to change things up. Mechanically what that means is that while you’ll have around 80 characters to choose between, some of them have very short campaigns indeed. If you were to pick Cao Cao, who was active through most of the Three Kingdoms period, you could expect to be playing for a long time. But, if you were to instead pick a character like Sun Ce, who did die early on, your campaign would be far shorter. 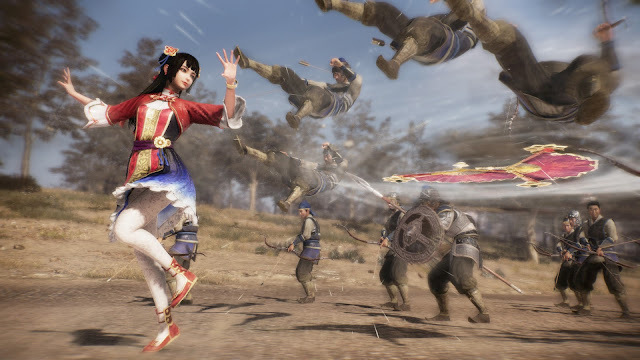 There are also new characters to choose from, and Dynasty Warriors 9 has the franchise’s largest roster to date. At 80 characters, the development team is starting to drill down into characters who had relatively minor historical roles, so I asked Suzuki how the team selected which characters would make the cut. “Even though we’ve already got the most famous characters from within Romance of the Three Kingdoms, we have bios of a lot of other characters that are comprehensive enough to be able to build a picture of them within the game,” Suzuki said. “And even beyond Romance of the Three Kingdoms, there are a lot of folk tales and other records from the timeline to draw on. 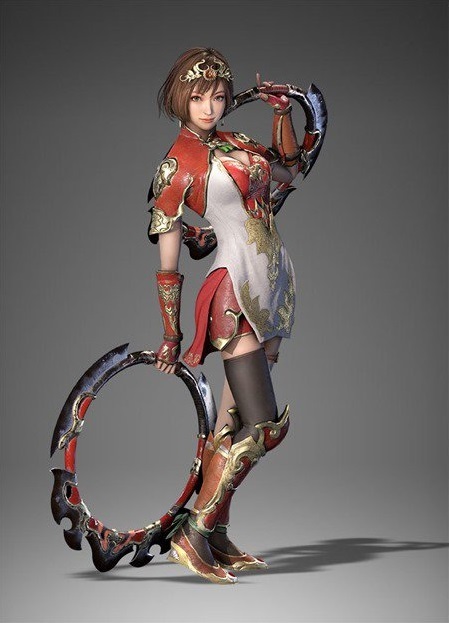 We can also look into some of the fantasy characters from the story; we've added Diaochan and Zhou Cang into our rosters, for example, but both were fictional, rather than historical, characters. Romance of the Three Kingdoms is a weighty, epic book itself, and over the years the level of research that has gone into Dynasty Warriors has meant that a number of the people on the development team have real historical expertise. I wondered if they went one step further and mandated that each person that joined the team had extensive knowledge of the book and history. Suzuki laughed at this, and said it wasn’t the case. Related reading: Matt's review of Bladestorm: Nightmare, which heavily influenced Dynasty Warriors 9. Dynasty Warriors 9 will launch in 2018 in the west, and is already one of our most anticipated games for the year. This one will be huge.